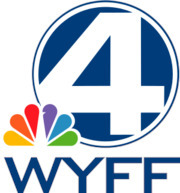 WYFF, virtual channel 4 (UHF digital channel 36), is an NBC-affiliated television station located in Greenville, South Carolina, United States. Neil Patrick Harris talks about his twins; Blake Shelton opens up about his relationship with Gwen Stefani; Chrissy Teigen shares her views on motherhood. Tina Fey; Jennifer Lopez. Also: "Compulsions: Hoarding"; "Today Food." A recap of the 88th Academy Awards. Oscar fashions; compulsive shopping; "Today Food."